In Prague, far from the street performers of the Old Town Square and the tourists of Charles Bridge, you can find the Czech National Gallery in a more or less residential neighborhood. In this deceptively large museum, one warehouse-sized room contains all 20 paintings of Alfons Mucha’s astounding Slav Epic, a series that seeks to tell a sweeping history, both mythical and factual, of the Slavic people. Each painting, filled with details rendered in a stunning art nouveau style, would stand as a masterpiece on its own. But drinking in all 20 of them in patient succession, one is energised by the massive, ungraspable narrative the paintings seem to create. I mention these paintings because they are one of the few artistic experiences comparable to David Lynch’s Twin Peaks. His and Mark Frost’s mammoth 18-part revival of their famous early '90s TV show proves to be one of the most remarkable cinematic works by an auteur to be produced this century. When I say remarkable, I don’t praise without reservation; the Slav Epic is an apt comparison to Twin Peaks in more ways than one - for Mucha’s paintings, it can be difficult to trace any geographical, temporal, or reality-based connective tissue between the immense paintings. The same goes for Twin Peaks. 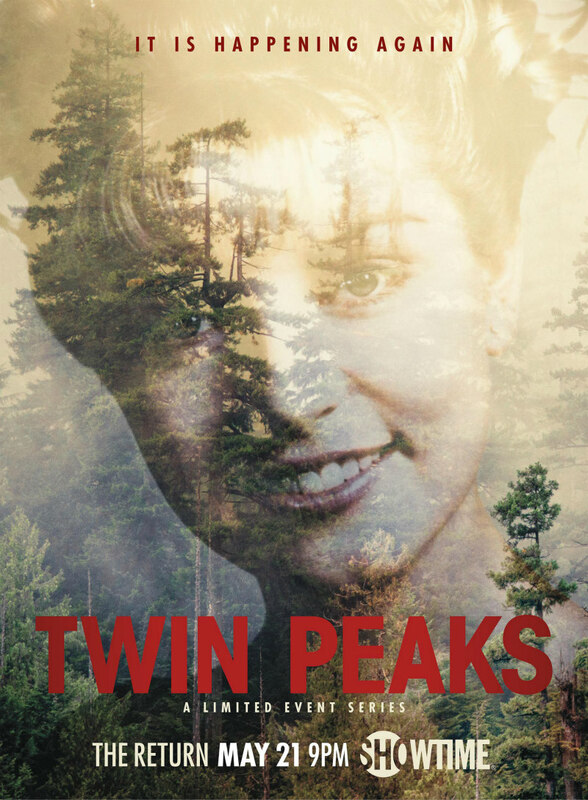 Yes, you know the bones of the story: Twin Peaks is a small town of eccentrics with a mysterious underworld of crime and a strange dense network of supernatural realms. 25 years ago, Laura Palmer was murdered and something bad happened to FBI agent Dale Cooper. This we knew. But ultimately, Lynch and co-creator Frost have created a universe that’s so big and mysterious, a universe that covers so much time and space, that it’s impossible to completely process quickly, if at all. With its army of characters and hours of episodes, it can be hard to keep track of details that blossom into something more key to understanding this already enigmatic show. With its mythology filled with spirits and tulpas and possessions and doppelgangers, it’s hard to wrap your mind around the shadows of rules by which the show’s story and style is governed. The final part of the return of Twin Peaks gives us more dark puzzles to ruminate over, and it’s understandable to feel frustrated when attempts to piece that puzzle together feel like a fool’s errand (granted, a fun fool’s errand). I won’t try to explain to you who Judy is (“we’re not gonna talk about Judy”) or who Carrie Page may be, or what was making noise in Sarah Palmer’s kitchen, or who contacted Cooper’s doppelganger over the radio. But I will try to evaluate Twin Peaks' enormous virtues and minor flaws as they exist. For Lynch, the man who seems to be more of a world auteur than an American treasure, the scale of Twin Peaks provides a rare opportunity for him to reenact and build on the modes of his long career within one work. Phillip Jeffries’ teapot body (devised after the death of Fire Walk with Me actor David Bowie) and the mysterious space station in Part Three are reminiscent of the grim eeriness of Eraserhead (1977). In Part 10, when Richard Horne (Eamon Farren), a teen of mysterious origin, knocks around and verbally abuses his grandmother and uncle (Jan D’Arcy reprising her small role as Sylvia Horne, with Erik Rondell as Johnny Horne), he acts like a young Frank from Blue Velvet (1986). The sadistic yet loveable criminals Hutch and Chantal (Tim Roth and Jennifer Jason Leigh) hit the open road with as much pluck as Sailor and Lula in Wild at Heart (1990). Ed and Norma’s (Everett McGill and Peggy Lipton) triumphant embrace - the scene from episode 15 that gave us a sense of closure more than any other storyline - resembles the triumph of Alvin Straight at the end of Lynch’s underrated The Straight Story (1999). Even the “Monica Bellucci dream” had by Lynch’s Gordon Cole resembles the jet-setting sensibility of Lady Blue Shanghai (2006), a 15-minute short Lynch made with Marion Cotillard as a promotional prestige ad for Dior. Twin Peaks’ parade of ghouls, crooks, and truth-seekers allows Lynch to reenact his entire career while developing even more unique obsessions and perversions. Twin Peaks reminds us that Lynch’s visions can span all kinds of aesthetic and thematic terrain while authoritatively giving us a view into one of the country’s most unique public psyches. The avalanche of theories and interpretations that inundated the film-critic corners of the web after the show’s finale obscured the basic truth that Twin Peaks is consistently a lot of fun. As the show’s many characters drive, fly, sprint, and warp across the Western United States and in and out of different levels of reality, we could really read Twin Peaks as Lynch’s It’s a Mad, Mad, Mad, Mad World. The Part 16 moment where Hutch and Chantal, the casino owning Mitchum Brothers (Jim Belushi and Robert Knepper, giving hilarious turns), and the Las Vegas FBI agents all show up at the Jones household for their own purposes feels like a Kaufman and Hart farce; Dougie Jones’ baby-like repetitions of words are hilariously taken at absolute face value by everyone he interacts with. In even broader terms, Twin Peaks exhibits some of the most enjoyable traits of many major American film genres: the woodsman’s zombie stagger into the radio station in the infamous Part Eight has the feel of a traditional horror movie; Ed and Norma’s story is more romantic and fun than most formulaic romantic comedies; The evil Cooper arrives in Twin Peaks like Frank Miller at the end of High Noon. 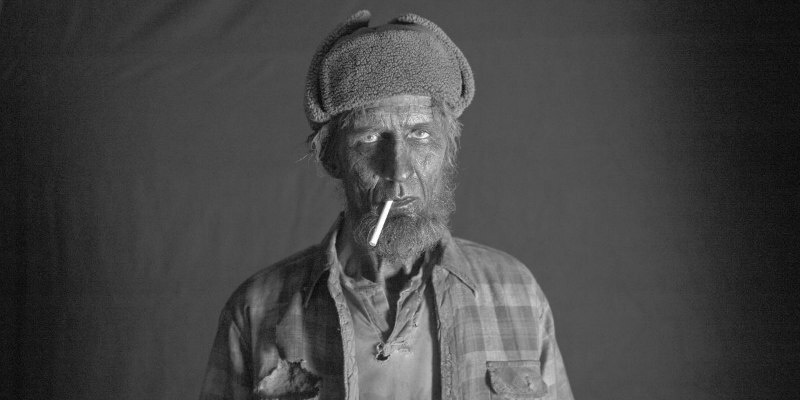 Twin Peaks is film noir, science fiction, western, and theatre de l’absurde all rolled into one massive Lynch burrito. Though the ultimate meaning of Twin Peaks is elusive, it cannot be said that Lynch denied us many of the most basic joys of movies along the way; any filmmaker should not only be jealous of Lynch’s unique vision, but jealous of his boundless sense of showmanship as well. Of course, a lot of this joy is based on the assumption that you’ve seen both the original Twin Peaks series along with Twin Peaks: Fire Walk with Me. Some of the most effective moments of the new episodes appeal to our sense of nostalgia for the old ones. Laura Palmer’s (the underrated Sheryl Lee) first terrible, majestic strides into the Black Lodge will open the floodgates of memories about the original show's central engrossing mystery. At one point, as Beverly (Ashley Judd) flirtatiously asks Ben Horne (Richard Beymer) who Dale and Laura were, we smile in wistful complicity with Ben when he responds: “that is a long story.” Giving a devastatingly emotional performance as the dying Log Lady - one of the town’s most beloved weirdoes - the late Catherine E. Coulson will have fans of the original show in tears. Even the appearance of David Duchovny’s Denise - a character that emerged at what many consider the second season’s low point - proves a surprisingly fun conduit for tying corners of the Twin Peaks world closer together. In one of the show’s most thrilling moments, Audrey Horne (Sherilyn Fenn) is lulled into her familiar teenage dance (composed by the iconic Angelo Badalamenti) in the show’s first (and bafflingly last) explicit reference to her story playing out in a separate realm of reality, in a dream version of the thoroughly modernised roadhouse. For fans of the original world, there’s plenty of familiar things to love, and it’s always amusing and even shocking to see how Lynch and Frost envision those familiar things a quarter of a century later. Yet once the series wrapped up its eighteenth and final hour, its flaws came into clearer focus along with its magic. Critically speaking, Lynch gets a pass on a lot of his weirdness. As he absolutely should. The consistent intensity and uniqueness of his vision has almost always felt vital. Still, Twin Peaks, through its sheer weight as a film, contains things that are distinctly Lynchian, but don’t necessarily succeed within the work as a whole. The business with Freddie Sykes (Jack Wardle) and his magical green glove may be endearingly weird, but that business felt abrupt and a little half-baked. Similarly, the identity of the entity that is “Judy,” explained by both Gordon Cole and Phillip Jeffries, was introduced too hastily for the ultimately important role that “Judy” goes on to play. False steps like these were symptomatic of the show’s slight problem with pacing; its middle was patient almost to the point of being slow - which is not a fault in and of itself; but when new information and events are jammed into the last few episodes, one gets the suspicion that the show’s long running time was not used as economically as it could have been. The show’s final part confounded many, and now that the shock has subsided, it still feels masterful - even if it does seem to be a bit of a rehash of themes already explored exhaustively in Mulholland Dr. (2001). Finally, and perhaps least consequentially, Lynch’s sexualisation of Gordon Cole, the part he played himself, was never as cute or as fun as it seemed Lynch thought it was. Yet all in all, strengths and weaknesses all accounted for, Twin Peaks proves that Lynch may be one of the most thrilling stylists not only of our contemporary era, but in all of film history period. He puts a golden sheen on the loveably quirky and casts dark, electrical magic over the unfathomably mysterious. When a mysterious woman (who is suspiciously played by Phoebe Augustine, the same actress who played the original show’s Ronnette Pulaski) shoos Cooper out of a mystery room, pleading with him “you better hurry, my mother is coming” in fantastic Twin Peaks backwards speak, that’s pure Lynch. When an atomic test seems to give birth to all evil, that’s pure Lynch. When a gambling addict, who only knows Douglas Jones as “Mr. Jackpots,” rushes to embrace him upon seeing him again, that’s pure Lynch. When Sheriff Frank Truman and Ben Horne have an emotional yet cautious talk about Horne’s childhood bike, that’s pure Lynch. All of these moments and much more are unerringly captured with the richest visual compositions and the lushest soundscapes. As Twin Peaks' final hour unfolds, we get the uneasy feeling that something is wrong and that we should have known something was going to go wrong all along. Yet even through the thick forest of Twin Peaks' mystery, we come to understand how the ending distills everything that’s always been great about Twin Peaks into one chilling final moment. With Carrie Page/Laura Palmer’s parting scream of subconscious comprehension, impenetrable as it is, Lynch creates an atmosphere of such sadness, such confusion, such loneliness, and such power that you can’t help but immediately forgive any frustration the show’s unknowable nature makes you feel. As we see Laura (is it Laura?) whisper, one last time, in Dale’s ear (is it Dale? ), we know that the overwhelming image of her black-as-night dress and his clean suit amid the crimson curtains and black-and-white zigzag floor - haughty, stately, sinister witnesses to countless inaccessible mysteries - we know that Lynch’s world will echo in our hearts and minds for as long as we’re thinking and caring about film. In these 18 new hours of Twin Peaks, Lynch, Frost & co. achieve a transcendent level of greatness - a greatness that is ironically contingent upon being flawed by virtue of its heft alone, but a greatness rivaled by few works of film art nevertheless.